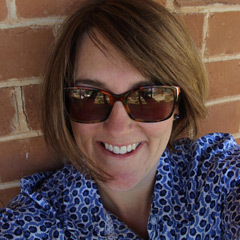 For the last thirteen years Great Southern Rail has hosted the Indian Pacific Outback Christmas Train during December. This event spreads Christmas cheer across Australia as the Indian Pacific travels 4,352km from Sydney to Perth. 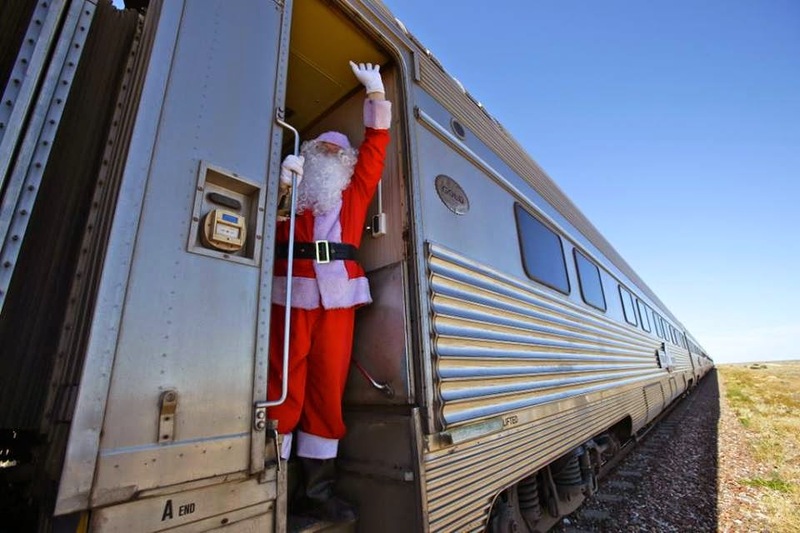 Each year Santa travels on the Indian Pacific, along with a special guest to perform free concerts at regional stops along the way. This year Australian rock band, Chocolate Starfish accompanied Santa and it was with much excitement my children's school choir was also part of the concert in Broken Hill. Earlier this year Great Southern Rail teamed up with Adam Thompson, front man of band Chocolate Starfish and professional music mentor, to put together a uniquely Australian Christmas carol. 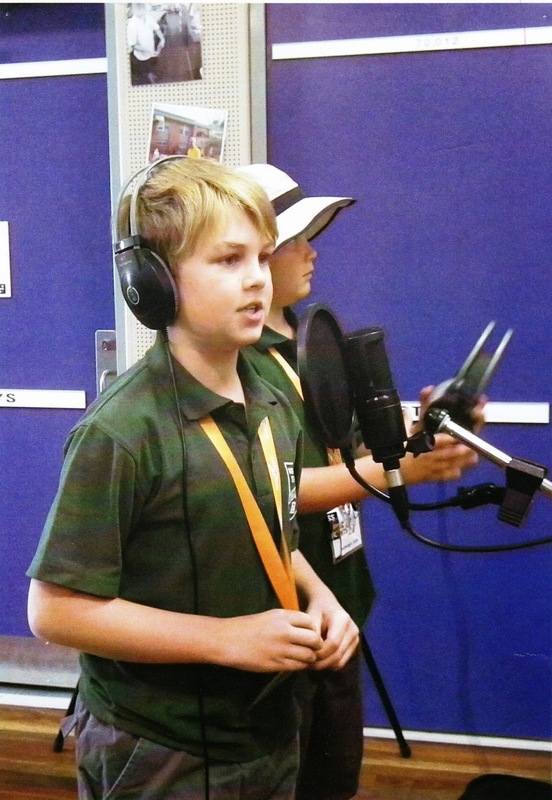 Adam travelled to some regional towns, including our home town, and with help from some of the school children along the way, they created an Aussie carol – ‘Bring on Christmas Day!’. My son was lucky enough to be one of the children who spent time workshopping with Adam and his group collaboratively wrote the second verse. Needless to say he had an absolute ball and is still enjoying his rock star status! The day the Christmas train pulled in to town we were up and dressed extremely early to meet it on the platform before school and our school choir performed "Bring on Christmas Day', along with Chocolate Starfish. This was of course after they had entertained the crowd of parents, train passengers and staff and other onlookers with songs that showed our age (or lack of it in the case of some teachers and all the children!). Yes, we live a long way from anything and many visitors comment on the fact that our place is in the middle of nowhere but, while this brings many challenges, it also brings so many great opportunities such as this one. The end result, 'Bring on Christmas Day' is a brilliant Australian Christmas song, and not only is it a catchy tune, but every time someone downloads it on iTunes, funds from the sale will be donated to the Royal Flying Doctor Service. Adam and his crew were extremely generous with their time and attentions and made the kids feel very special. He remembered them, he got in with them, he said "Hi" and he posed for many photos. He even caught a soccer game and gave the kids a half time pep talk while he was in town making the song, after finding out that many of the kids he had worked with all played in the same team! Here is the end result. The kids look like they are having SO. MUCH. FUN! What an amazing experience for the kids and that song is so much fun! Love your photos.